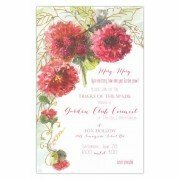 Your guests will be sure to RSVP yes when they receive these beautiful invitations! They are.. 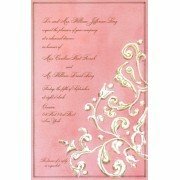 This fabulous invitation in shape of bridal gown is perfect for a bridal show.. 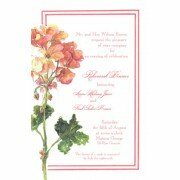 This fabulous invitation in shape of Mimosa is sure to be a hit at any Bridal shower, .. 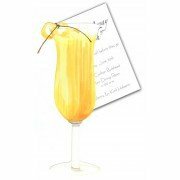 This fabulous invitation in shape of a Mimosa is perfect for a brunch, shower, birthday.. This charming two piece invitation features a toaster with a slice of toast. 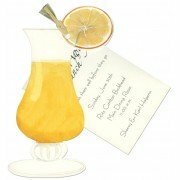 Your party informati.. 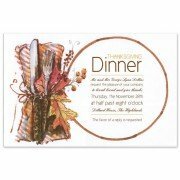 This 5.75" x 8.75" invitation is perfect for rehearsal dinners, luncheons and more. White en.. 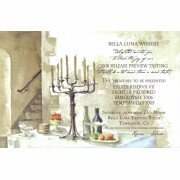 This 5.75" x 8.75" invitation is perfect for a rehearsal dinner, luncheon, French themed parties .. 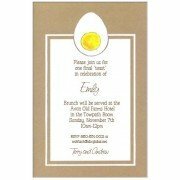 This 5.75" x 8.75" invitation features a hard boiled egg on a sepia base card. White e.. 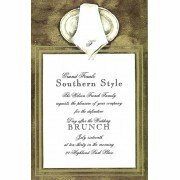 This 5.75" x 8.75" invitation is perfect for luncheons, dinner parties and more. White envelopes .. 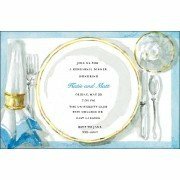 This 5.75" x 8.75" invitation is perfect for showers, luncheons, birthdays and more. White envelo.. 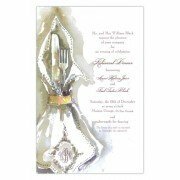 This 5.75" x 8.75" invitation is perfect for luncheons, rehearsal dinners and more. White envelop.. 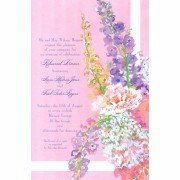 This 5.75" x 8.75" invitation is perfect for a luncheon, shower, birthday celebration and much mo..